Do you make the most of your time? How we spend our time impacts our productivity, effectiveness and our sense of accomplishment and satisfaction. The value of time cannot be underestimated. We all have 24 hours in a day - no more and no less. Many of us have so much to do that we wish we had 34 hours in a day. How can you make the most of your time? These tips for planning will help you spend your time wisely. Recession Inspiration? The Ultimate Reverse Commute: Think Outside the Border! Sometimes I'll meet a person with a wonderful idea, and, after I smack my head, I'll say, "Why didn't I think of that?" That was certainly the case when I heard what Dr. Debi Yohn and Winton Churchill (yes, he is related to Sir Winston) are up to. Their basic premise: create income anywhere in the world from your home, and, to reduce your costs of living, make that home somewhere beautiful, exotic and cheaper than the US. As much as I love Chicago, the thought of an affordable luxury lifestyle on the beach sounds intriguing. How could that work? "Selling has Nothing to Do with Selling! " The underlining theme of this presentation is that sales people should stop selling, presenting, answering objections and closing and should instead play the role of a "change agent." Join WITI and Richard P. Farrell as we explore this transformative process. View Photos from WITI's 20th Anniversary Summit in the Silicon Valley! Scottsdale, AZ • Register Now! WITI Greater Phoenix Network is holding its Leadership Committee Meeting. We are seeking professionals committed to making a difference in support of WITI's Mission: to empower women worldwide to achieve unimagined possibilities and transformations through technology, leadership and economic prosperity. This is an exciting opportunity in joining the leadership team as we build our Greater Phoenix Network. Huge savings on phones and accessories at the WITI Wireless Center! July Specials include free BlackBerry's and waived activation fee on AT&T plans. 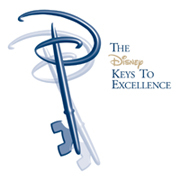 Join WITI @ Disney Keys to Excellence in Columbus and Honolulu! IMPORTANT: Please use promotional code WITIMNE to receive $50 OFF PER GUEST when registering. Additional group discounts are available. DOUBLE THE MAGIC: Register for both Honolulu events and receive an extra savings of $35 per event. Join WITI @ the 2010 CES Inaugural Mobile Apps Showdown! There's a mobile application born every minute (or so it seems), but which ones will rise to the top? 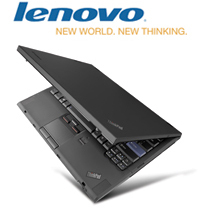 Join us at the 2010 International CES for the inaugural Mobile Apps Showdown. Learn more.